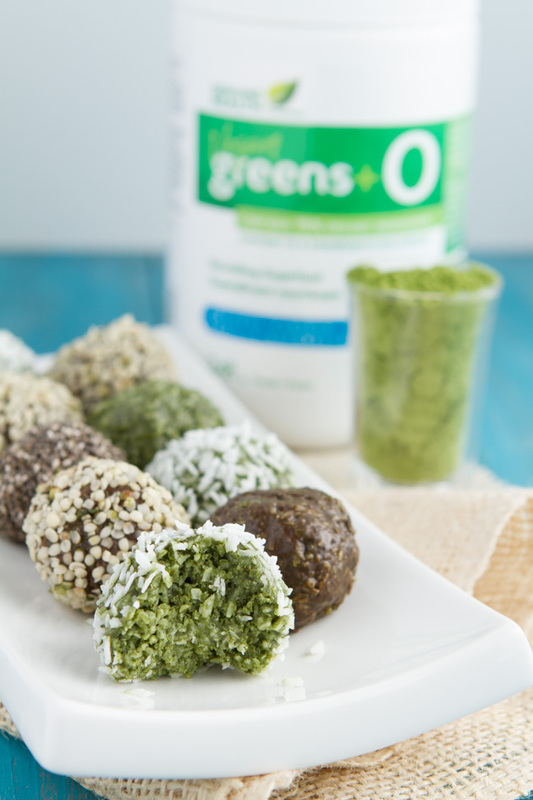 Put your greens powder to work and blast cravings with these dairy-free truffles, made with absolutely NO SUGAR. The perfect low-carb delight. Just 3 nourishing ingredients, topped with your favorite superfoods. 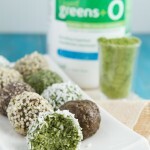 Greens powder: Greens+O is lightly sweetened with stevia and the flavor I used, vanilla, adds good flavor to the truffles. If you use a different greens powder for this recipe, make sure it’s one that you really love as the flavor will come through on this! Also, there is a touch of grain in Greens+O however, because of the fermentation, I find that it doesn’t affect me whatsoever. If you can’t find a greens powder that works for you, feel free to replace the greens powder with 10 drops of stevia and 2 teaspoons of matcha powder or an equal amount (20 grams) or protein powder. Nutrition information: If you’re looking for this recipe to replace your daily dose of greens powder, the recipe calls for 20 grams, that’s about 3 servings of greens powder. The recipe makes 14 truffles, so that’s about 4-5 truffles per serving. The nutrition information outlines the stats for 1 truffle with the basic ingredients only. No cacao powder or toppings.